I was running a few errands the other day and I saw a sign in a parking lot. What more is there to say about The Moxie Recipe Contest? The Moxie Festival? A marching band from Wisconsin and 50,000 people are moving towards a little Maine town on the banks of the Androscoggin River. The weather looks promising. Remember, heat trumps rain for the Moxie Festival. All the complainers and troublemakers are fading away. 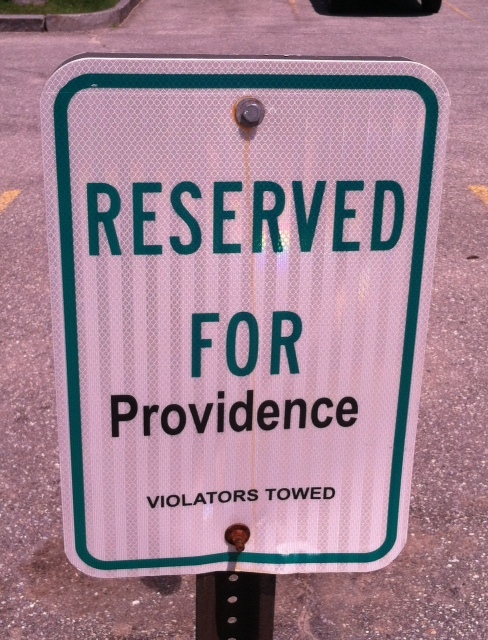 The parking spots in Moxie Town are all reserved. We are in the hands of Providence. This entry was posted in Abundance and tagged Moxie Recipe Contest, Providence, The Moxie Festival. Bookmark the permalink.